Updating Apps on an iPhone or iPad should never be a problem. However, sometimes things can go wrong and and you may find that Apps are not updating on iPhone. You will find some methods to fix the issue of Apps Not updating on iPhone. 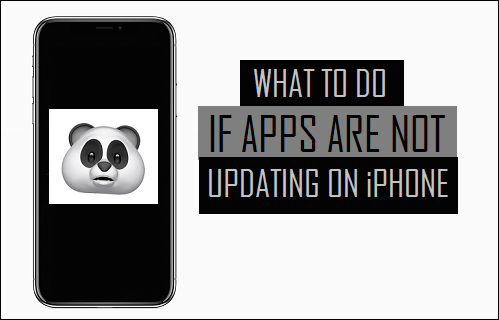 The problem of Apps Not updating on iPhone or iPad could be due to a variety of reasons, ranging from updates being blocked via Restrictions Passcode, incorrect Apple ID, lack of storage space to minor technical glitches, preventing the Apps from being updated. You should be able to fix this problem using any of the methods as listed below. It is possible that your iPhone is experiencing minor software glitches and this is preventing the Apps from being updated on your iPhone. Simply, restart your iPhone and this should end stuck processes on your iPhone. 1. Press and Hold the Power button, until you see “Slide to Power Off” option on the screen of your iPhone. 2. Move the Sider to the right to Power OFF your iPhone. 3. After the iPhone is completely Powered OFF, Restart your iPhone and see if you can Update the Apps. 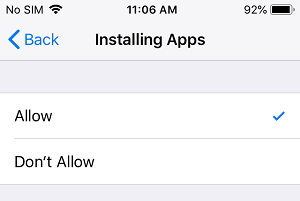 Your iPhone won’t be able to update Apps, in case the option to Install Apps is disabled on your iPhone. Hence, follow the steps below to make sure that you have not restricted Apps from being updated. 1. 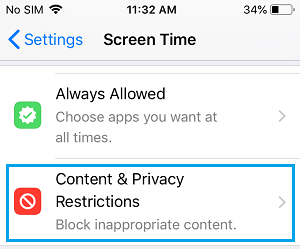 Open Settings > tap on Screen Time > Content & Privacy Restrictions. 2. When prompted, enter your four digit Screen Time Passcode. 3. Next, tap on iTunes & App Store Purchases > Installing Apps. 4. On the next screen, tap on Allow to disable restrictions on Installing of Apps on your iPhone. After this, see if you are able to update Apps on your iPhone. While communicating with Apple servers for Updates, your iPhone is required to perform various checks, including a check for Date and Time on your iPhone. Having incorrect Date and Time settings can affect the process of App Updates on your iPhone. Hence, make sure that your iPhone is set to automatically update Date and Time. 1. 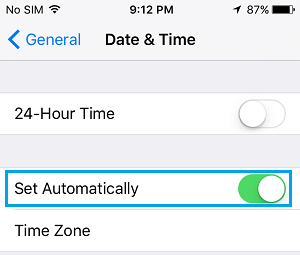 Tap on Settings > General > Date & Time. 2. On the next screen, move the Set Automatically slider to ON position. 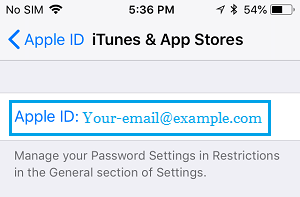 Sometimes the App Store can have problems recognizing your Apple ID. 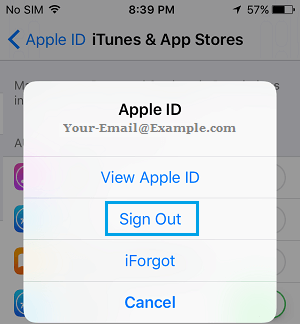 This problem can be fixed by logging out of the App Store and logging back in again. 1. 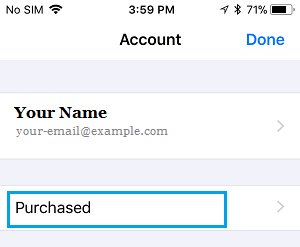 Tap on Settings > your Apple ID Name. 2. Next, tap on iTunes & App Store > Apple ID. 3. On the pop-up that appears, tap on Sign Out. 4. On the pop-up, enter your Apple ID, Password and tap on Sign in. 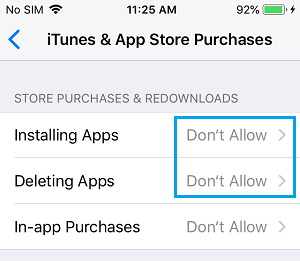 The Apps that you download to your iPhone get associated with the Apple ID that you had used to download the Apps from the App Store. This makes it necessary to use the same Apple ID on your iPhone in order to get Updates. 1. Open the App Store on your iPhone. 2. Once you are in the App Store, tap on the Account icon located at the top right corner of your screen. 4. On the Purchased screen, see if the Apps that are not updating are listed. 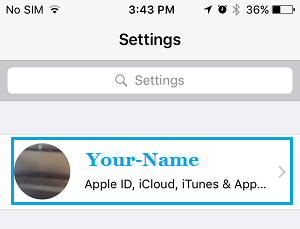 If the Apps are not listed on Purchased screen, it is likely that you had downloaded those Apps using another Apple ID. 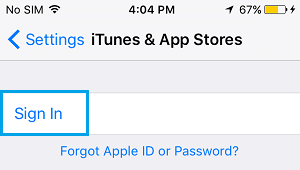 You will need to login with your “Other Apple ID”, in order to Update those Apps. You need enough storage space on your iPhone to handle App updates. Hence, make sure that you have enough storage space available on your iPhone. 1. Tap on Settings > General > iPhone Storage. 2. On the next screen, you will see how much storage space is available on your iPhone. If you have about 1 GB available, lack of storage space is unlikely to be the reason for your iPhone Not Updating. 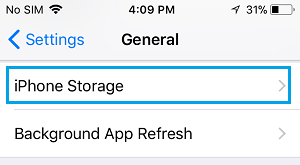 In case you have less storage space, you can try to clear storage space on your iPhone by following these steps: How to Free Up Storage Space on iPhone. If the above methods did not help, try deleting and reinstalling the App. This should allow you to install the latest version of the App from the App Store. 1. Tap and Hold on the App that you want to delete, until it starts wiggling. 2. Now, tap on the X icon next to the App that you want to delete. 3. Open the App Store, search for the deleted App and Install the App back onto your iPhone. 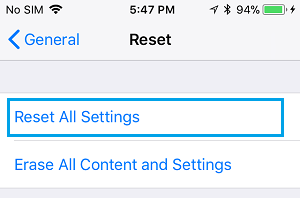 This step is going to Reset All Settings on your iPhone. However, it will not delete any data on your iPhone. 1. Tap on Settings > General > Reset. 3. When prompted, enter your Passcode and tap on Reset All Settings option in the pop-up that appears.